About HoneyCraft Market, "The Heartbeat of DIY"
HoneyCraft Market is an intimate gathering of independent crafters who make high-quality handmade wares. It began when two women found they shared a desire to bring something special to the McHenry County creative scene. Woodstock native Amy Furrow, a filmmaker and graphic designer, walked into the Woodstock Mixin Mingle location and met owner and "chief troublemaker," Naté Grindeland. Amy envisioned an artists' pop-up shop in that space, and Naté liked the idea of having a partner to give it a go. So, like chocolate and peanut butter, and macaroni and cheese, Naté and Amy combined forces, and HoneyCraft Market was born in November 2011. HoneyCraft Market is now featured at both Mixin Mingle locations--Woodstock and McHenry--several times per year. 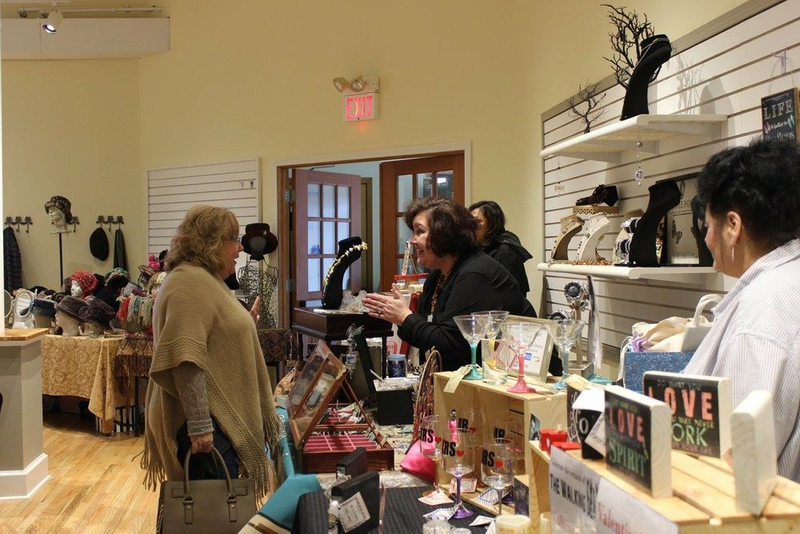 This is the place to find eclectic housewares, spoil-yourself bath and beauty products, one-of-a-kind jewelry and knitwear, and other handmade goods you just can't find anywhere else, all under the same roof. Need a gift for that hard-to-buy for relative? We've got you. Want some color of flair for your home? We're on it. Or maybe you're feeling blue and in need of some great company, good cheer, and to see the best selection of handmade arts and crafts around. HoneyCraft is your haven. No two events are the same, so make sure to visit as often as possible.